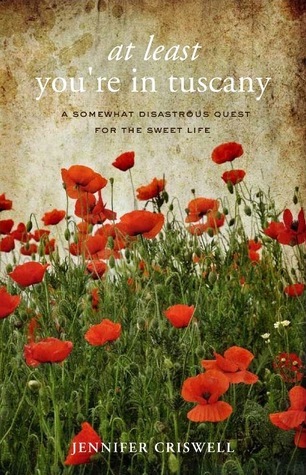 This memoir is told with a great sense of humour and personal insight. I really enjoyed it. Jennifer is a lawyer in New York City, but doesn't enjoy her job, and started planning ten years earlier to move to Tuscany permanently. Her grandmother was Italian, and that offers her a foot in the door. Saving money where she could for the last few years, and researching all the paperwork required to actually live her dream has been a long haul. The book begins with a prologue a few months into her move to Italy, at pretty much the lowest point of her story, but the real story begins in the spring as she moves into a rented apartment with an amazing view of the countryside. She moved to Montepulciano with her weimaraner Cinder in tow. She has taken language lessons, but hasn't really immersed herself in the language seriously, and as she looks for work and waits on the final paperwork to allow her to gain Italian citizenship, she finds many barriers between her and her final goal. She just keeps reminding herself that at least she's in Tuscany. Finding work isn't easy, partly due to paperwork issues, and partly due to her language skills. She realizes that she must take more Italian lessons and work hard at them to make herself more employable. She finds out the different cultural habits of her new neighbours, struggles to make her money go further as time goes on, and finds that her love life is everybody's business and a topic of small town conversation. From food to friends, wine to working, we see how she meets each challenge and defies it, persevering to her end goal. A great read and insight into such a unique experience. 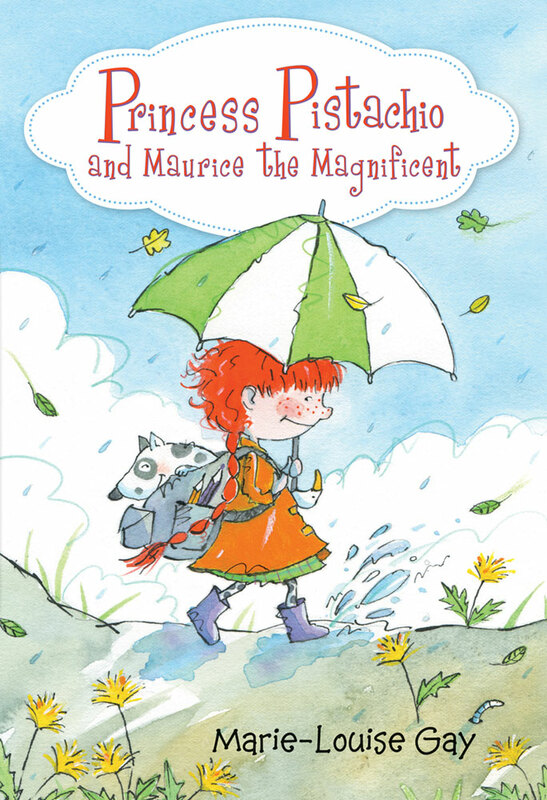 This book is part of the series featuring Princess Pistachio series. Here Pistachio watches her dog, whose name is Dog, sleeping and wonders what he dreams about. She realizes that all he does is eat and sleep, and thinks that she must liven up his life a little. She tries to get him moving to no effect. The next morning, she puts him in her school bag and takes him to school. It turns out to be show and tell day, and Pistachio forgot to bring something, so she decides to show Dog. But her classmates make fun of the dog. When she spots an advertisement for a dog to audition for a role in a play a few days later, she decides to take Dog, despite her best friend Madeline's laughter. It turns out that Dog does have the special talent required for the role, and Pistachio must come up with a stage name that is more exciting for him, hence the name from the title of the book. As Dog's success continues, it changes the dynamic between Pistachio and Madeline, and both end up learning something about themselves and friendship from the situation. I liked the way the book showed that everybody has undiscovered talents, despite first impressions. I also liked the way the situation led to new understanding for both Pistachio and Madeline, and modeled a good way to deal with issues between friends. My only difficulty with the plot was when Dog ate an eraser at school. To me this seemed like a bad message, maybe getting kids to think about feeding something like that to their dog for fun. Unfortunately, I had a cat who took it upon himself to eat an eraser, which proved to be life-threatening to him and very expensive to me. So I'd like to emphasize to NEVER DO THAT!! Thanks to Pajama Press for providing me with a free copy to review. This collection has a number of great stories. The three title stories are all novellas, plus there are several shorter stories. Too Much Time is set in Maine, where Reacher is walking into a pedestrian square in a small town, and witnesses a man grabbing a bag from a young woman. He isn't the only witness, but the police on the scene ask him to make a statement, saying it won't take much time. Of course, the story is bigger than it looks at first glance and it ends up taking far more time than even Reacher might have thought. The copy on the cover says that this story leads into the new novel that is coming out this fall. 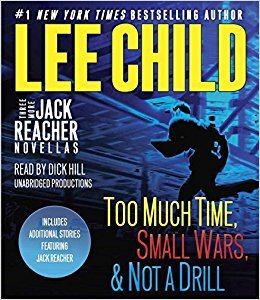 Small Wars takes us further back in Reacher's life, when he was still in the army. He gets brought into a unit stateside to temporarily take charge while their new commander recovers from a car accident. His first case is of a female commander of a special unit who has been apparently murdered on a country road. He must work with the state police to investigate. He calls on his brother for information on the officer, and brings in his own sargeant Neagley to be his right hand. I liked some of the dynamics of this one in terms of the characters. Not a Drill is also set in Maine, when Reacher has gone up to the top of I95, just before the Canadian border to just see the end of the road. When hitching back down, he gets picked up by three Canadians who plan to hike a trail out on the peninsula. He gets talked into going with them, and when the trail gets closed down suddenly the next morning finds himself curious about what is behind the appearance of soldiers and questioning of hikers. This went in a different direction than I initially guessed, but a more interesting one. James Penney's New Identity is another story from Reacher's army years. This one takes place in California and Reacher joins the story late, but has a key role in the plot. An interesting side to him here. Everyone Talks has Reacher being questioned by a strong female investigator eager to prove herself. While lying in a hospital bed he gives up information slowly as he leads her towards the right conclusion. Maybe They Have a Tradition takes place mostly in England where Reacher finds himself unexpectedly and in very bad weather. As he ventures towards the nearest town, he comes across a situation he is unexpectedly the right man for. Guy Walks into a Bar has Reacher walking into a bar (of course) and seeing a woman alone at a table and mesmerized by the singer. As he watches, he gets an idea of what is happening and steps in to prevent the bad guys from getting their job done. No Room at the Motel is another one that finds Reacher somewhere he hadn't planned, in bad weather, at least bad weather for that area. Here he watches what is happening, taking his time as he does to analyze things, and finds himself in the position to be a good samaritan. The Picture of the Lonely Diner has Reacher coming up out of the NYC subway into an empty street, and he finds himself discussing the painting Nighthawks by Edward Hopper with an FBI agent. Oddly enough, this painting also came up in another book I'm reading. 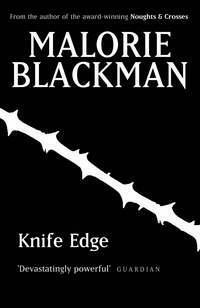 I enjoyed all these stories, liking the twists and turns of the plot as well as the characters. This book caused me to stop and think many times. Following the introduction, the book is split into four sections, with the first two sections having two chapters and the latter two four chapters. In the introduction, Harris tells us of one of his inspirations for the book, finding out about the amazing experience of Dr. Edith Bone. Bone was imprisoned in Hungary in 1949 on her way back to the airport to fly home to England after a visit to family. It took some time for people to realize she was missing, and then discover what happened to her. She was in solitary confinement for seven years. Instead of going mad, or breaking down, she found ways to occupy her mind and emerged "a little wiser and full of hope." Her story set Harris to thinking about the art of being alone, and to examine how our culture works against this ability. The first section looks at what people do when they're alone, how they occupy themselves. He finds that technology has filled those times that we used to have alone with attachments to others. If we disconnect from it, we often worry about what we've missed. The move towards social media and the sharing economy has only increased the need for connection. So he looks at what happens when we lose that capacity for a rich inner life. He finds that even though the capacity for solitude has decreased, the spread of loneliness has increased. As the saying goes, you can be lonely even in a crowd. Connection in the way that we now define it doesn't overcome loneliness. In fact, it can actually emphasize the feeling. Another negative impact of the loss of solitude is the loss of the "ability to engender new ideas." The "aha" moment isn't one that normally occurs in a group, but comes to us as we let our brains loose to explore without reining them in. Loss of solitude also negatively impacts self-knowledge. 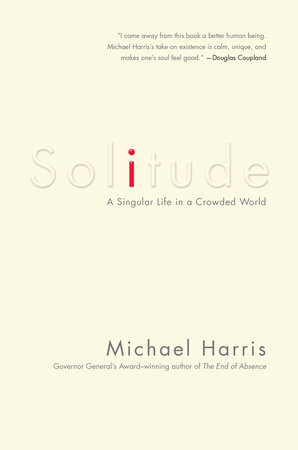 In the second section he looks at research around solitude, and the skill of daydreaming. I remember being criticized by teachers and even sometimes family for daydreaming. Luckily, instead of stopping, I just became better at stepping away from others to engage in it. I need my time to myself to either sit with myself, read and think, or do something like needlework that can let my mind wander away. Harris talks about the pressure to be doing something, and this reads true for me. Studies show that what happens to our brain when we daydream is a necessary piece to forming our identity. He talks about the rational mind versus the intuitive mind, and how even our work spaces have been changed to encourage collaboration and engagement rather than times of creative solitude. The third section looks at identity and its relationship to solitude. Forming our own style means not conforming to the role society would have us take: what to wear, how to act, the proper way to talk, and many other "ways" that are expected of us. Even our technology pushes us in this direction. To have our technological tools work more efficiently, they like us to behave in predictable ways. The information that we are fed through our technology is based on previous choices we have made. Even the way we move is influenced by technology. It guides us to our destination, and we follow its instructions. We lose the serendipity of discovery that travel used to bring. Harris talks to researchers about mapping, our mental maps, and our wayfinding skills. This made me feel a lot better about the way I often ignore my car GPS's instructions if I see something interesting or don't like the way it is suggesting. The younger generation is particularly influenced by this tracking that is a given with today's technology. Someone has often been sharing moments of their lives broadly since birth, programming their time with educational opportunities, playdates, and sports, leaving them little time to be solitary. It also makes people more anxious when they don't know someone's whereabouts. We don't have permission to go off grid, to leave our phones and cameras behind and just live the experience. We don't have comfort with the experience of losing control of what may happen. The fourth section is about how we allow others time for solitude, and how we communicate in our solitude. Harris investigates what happens to us when we read, and how reading, by allowing us to enter the experience of others unlike us, allows us to learn empathy. He looks at how even writing books has changed, with the advent of apps like Wattpad. He looks at the art of letter writing, and how it differs from the instant or near instant communication that we have come to accept as the norm. Harris looks at death and the growing demand for ways to prolong life, or at least appear to. He looks at digital memory-making, and the creation of avatars that outlive us, at the idea of the singularity. He tells us of his own experience with solitude as he took a week in a remote cottage, with no human contact and how he experienced that, including how he experienced coming back out of it. This book was absolutely fascinating and I cannot recommend it highly enough. This fun picture book was a gift from a friend, in case I needed to do a storytime. Thankfully, I haven't had to do that, and I hadn't read the book when I first got it. It's a very short book, great for a storytime. 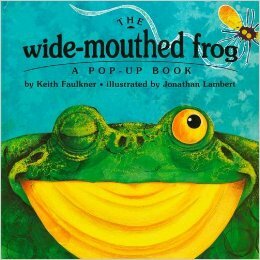 The pop-up features worked great with the subject as the frog shows his mouth and tells us what he eats. He then asks a number of other creatures what they eat and we see their mouths pop-up as they tell him. But when he gets to the last creature, the story has a surprise and we see the frog change his mouth in response. This is also very funny. The book ends with a big splash and kids will like the bright colours and the surprise. This is the second novel in the series that began with Noughts & Crosses. 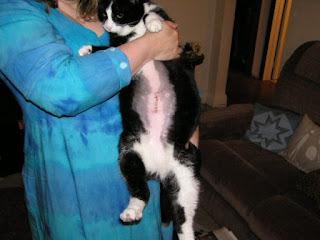 This story continues with Sephy's story as she is now a mother of a little girl, Callie. She struggles with her emotions around her situation, reviled by members of both cultural groups. As she tries to find her own voice, she loves her young daughter, but fears for her future as a visible example of her parents' choices. When a letter reaches her, supposed written by Callum, it changes her feelings to the point where she feels much more alone, and more distrustful of those around her. Her relationship with both her mother and with Callum's mother also changes, and her new friends only help a little. We also see Jude and the situation he faces now that he is on the run, and has lost trust for some of the leaders of his group. Living on his own to stay under the radar, he befriends a trusting young woman. She brings him feelings that he didn't expect and doesn't want to feel, and makes him unsure of his own convictions. His reaction is tragic, and his solution to his new situation brings more misery to both him and to Sephy. This series is not predictable in its plot changes, and the characters begin to grow more complex as we see them mature. This is a very interesting series, with its emphasis on race and cultural change. This book for early readers is charming. Liam is awoken one morning by his Nana, who lives downstairs from him and his parents. She has exciting news. 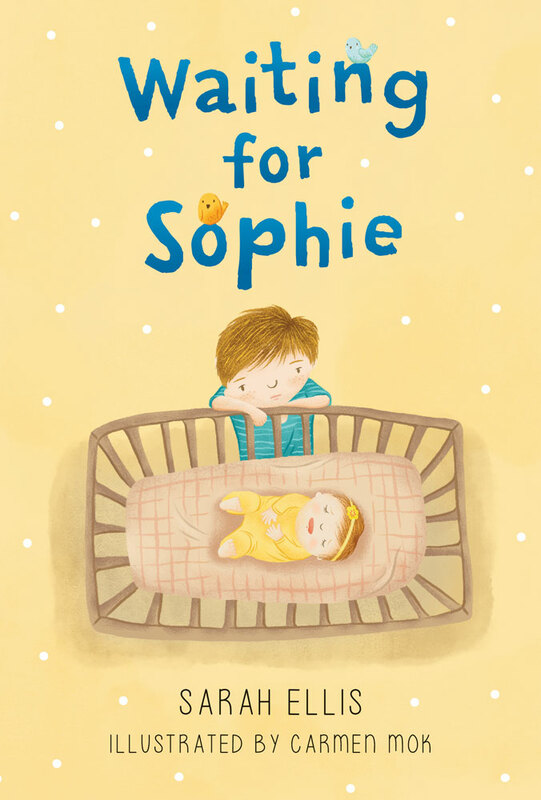 His parents have gone to the hospital because his little sister Sophie will be born soon. 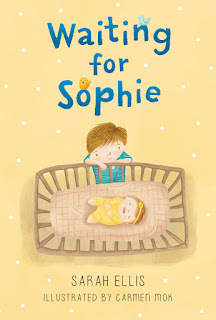 Liam has to learn that waiting is part of life, and that it can bring you other joys. Nana-Downstairs, as she is called here, and Liam spend the day doing fun and naughty things like staying in their pajamas all day, eating funny things, playing silly games and watching movies. Once Sophie arrives, Liam is enchanted by her. Liam enjoys playing with Sophie, but is impatient for her to talk back to him. He wants her to be able to do things with him. Again, he finds that he must wait. Nana-Downstairs again offers advice. She helps him build something special. They have fun doing this. When the females have a day out, Liam's Dad decides to build something. He doesn't build it from scratch, like Liam and Nana-Downstairs did, but from a kit. But since Dad isn't very good at building things, Liam has to help and make sure he doesn't mess it up. I liked the big brother, big sister story here. Liam is a good big brother, patient and caring. I also liked how the adults didn't fit stereotypes. The drawings are simple, but engaging, and show the emotions of the different characters vividly. I also liked how the sometimes offered a different perspective on a scene, and used enough details to make it interesting. I also thought the endpapers were a neat touch, covered with pictures of hand tools. This book feels all too possible as a future reality in these troubling times. This book imagines our world in the late 2070s, after a civil war has broken out in the U.S. over the use of fossil fuels. The former United States are no longer united. A southwestern portion has split off and become a Mexican protectorate. A small group of southeastern states has left the union to become the Free Southern States and holds on to the use of fossil fuels. As climate change took it's toll, coastal areas became enveloped by the oceans, and lost to habitation. This includes most of Florida and portions of all the coasts. This led to the relocation of the U.S. capital to Columbus, Ohio. Sarat and her twin sister Dana are six years old, but very different. Sarat is all about curiosity, trying things out. She is built large and will grow into a large woman. Dana is girly, already into dresses and makeup, while Sarat wears overalls. Their older sister Simon, nine, is smart and eager to help. Martina, 39, and Benjamin, 45 have a good marriage. Benjamin works at a local shirt factory and the family has enough to live, but the war has meant that the school closed due to fighting drawing near, and Martina wants more for her children. As she encourages Benjamin to apply for a work permit to work in the North of the country, this is the first decision that will change all their lives forever. The second decision follows closely, the one to leave their home and go to a refugee camp. As the story follows the lives of the Chestnuts, you see the difficulty of living a life of uncertainty, a life where growing children don't always make the choices you would like them to make. This is a story of war, of rebellion, of family. 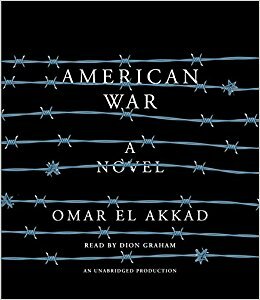 It is a story of the inequities that come with war, about its effect on the lives of civilians. It is about children forced to grow up too quickly, and with teachers that have their own bias. 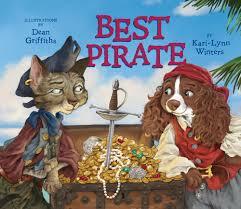 This picture book, to be released at the end of the summer, continues with the characters introduced by Winters and Griffiths in the earlier Bad Pirate and Good Pirate books. In this story, there are two pirate ships converging on Crossbones Island, both after treasure supposed hidden there. We first see the dog pirates, led by Barnacle Garrick. Augusta is Barnacle's daughter, and he aims to see her learn from one of his best crew members, Scully. Augusta tries very hard, but when an accident incapacitates Scully, she is determined to mend matters by going alone to the island to find the treasure. In her search for the treasure, she finds that she isn't alone in her search. Scuppers, the son of the cat pirate ship's Captain Fishmonger, is also on the hunt for doubloons. When they end up in a fix together, Augusta tries to put the skills she learned to work, and find an innovative way out. With teamwork, they both make it to safety, and with treasure in hand return to their ships. There is lots of lovely pirate language, and the end papers help define a lot of these for enchanted readers. The illustrations are wonderful, showing emotions and lovely details. The dogs are a variety of breeds, easily identifiable, and the cats range in type while still being entirely cats. And I love that the story shows how working together pays off. Both author and illustrator are Canadian and known internationally for their great work. I'd already read and loved Kari-Lynn's Hungry for Math poetry book, and loved Dean's illustrations in the children's novel The Stowaways. It's great to see them come together in this series. Thanks to Pajama Press for providing me with a pre-publication copy. 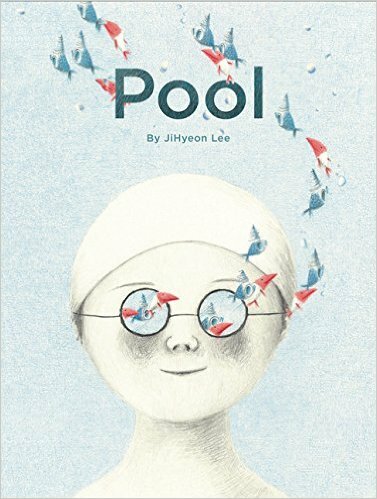 This wordless picture book captures the imagination of a young boy and girl as they swim in their local pool. When they first arrive at the pool it is empty, but it soon fills with people and their accessories: inner tubes, inflatable boats, oars, water guns, and more. The two dive under the people and see each other and together they find a magical world of fish, sea plants, and many interesting creatures. It reminded me of a false memory from my youth, when I was watching my older cousins swimming in a pool and, despite my father's warnings, was sure I could do what they were doing and so let go of the edge. Despite sinking, and causing my father to jump in fully clothed to haul me out, I was never scared, as I saw myself falling gently down through the water, watching fish and other creatures pass by. Of course there were no fish, but this book brought that time back to me. 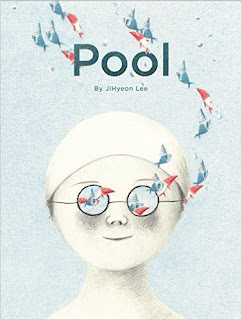 Beautifully drawn, this story is a delight of imagination. I love this book! This book gives basic information in a couple of pages about many animals you may not have even heard of before, including size, what they eat, where they live, their status in terms of endangered, and another random piece of information. Each includes an illustration of the animal, along with some other images. Many of the entries mention other similar animals that you may not know much about. 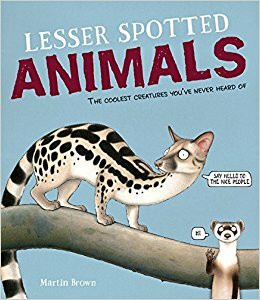 The animals with entries in the book are: the numbat, the Cuban solenodon, the lesser fairy armadillo, the zorilla, the silvery gibbon, the dagger-toothed flower bat, the long-tailed dunnart, the Russian desman, Speke's pectinator, the onager, the banded linsang, the yellow-footed rock-wallaby, the gaur, the sand cat, the southern right whale dolphin, three monkeys (the red-faced spider monkey, the grey-shanked douc langur, and the golden snub-nosed monkey), the hirola, the crabeater seal, the ili pika, the zebra duiker, and the black-footed ferret. There is lots of humour and some disgusting and weird information to keep kids interested. I learned a lot about many animals I had never even heard of and thoroughly enjoyed both the pictures and the text. What a fun and interesting read!